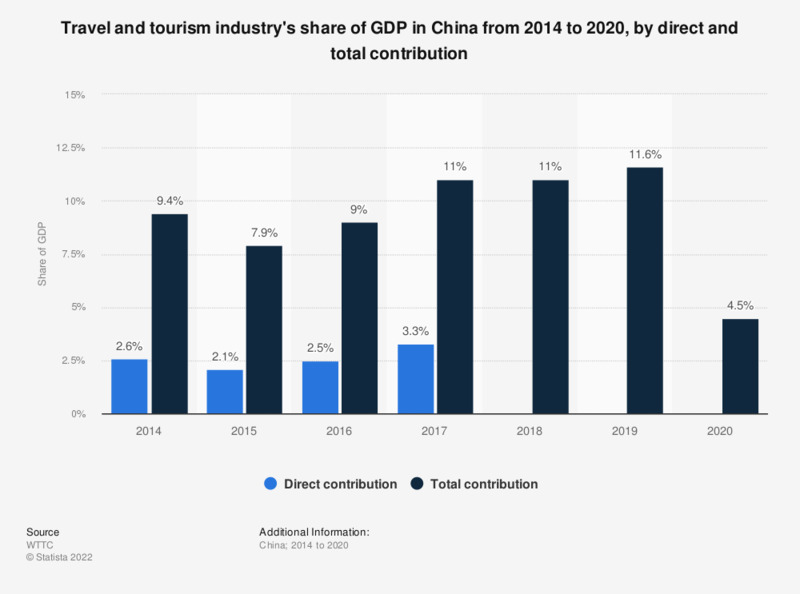 The graph shows the travel and tourism industry's share of GDP in China until 2017 with a forecast for 2028, by direct and total contribution. In 2017, the direct contribution of the travel and tourism industry had accounted for 2.9 percent of China's total GDP. *Figures for 2028 are forecasts, annualized growth rates for that period were adjusted for inflation.